Your calendar is packed full of gatherings – family Thanksgiving, holiday work parties and your neighbor’s annual potluck. Endless celebrations mean you’ll be faced with choosing (or declining) foods that could derail your healthy diet or weight-loss efforts. In order to maintain optimal health, you don’t have to say no to all your favorite foods. Instead, say yes to these six superfoods. You’ll feel and look your best for the coming new year, we promise! Though fried turkeys are rising in popularity, Jenalee Richner, RD, LDN, at McConnell Heart Health Center, says this is the unhealthiest way to prepare turkey. Typically, a single serving of turkey packs anywhere from 100 to 250 calories per serving — and is your main protein source on the big day — and keeps you full so you’re less likely to fill up on sweets later. Many people think they need to add brown sugar and butter to make these veggies flavorful, but that’s not the case, Richner says. Simply wrap them in foil and bake for about two hours at 350 degrees. 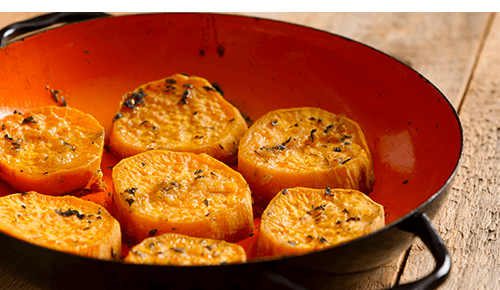 Their creamy, naturally sweet flavor is just a bonus; sweet potatoes are packed with vitamin C, manganese and vitamin B6. 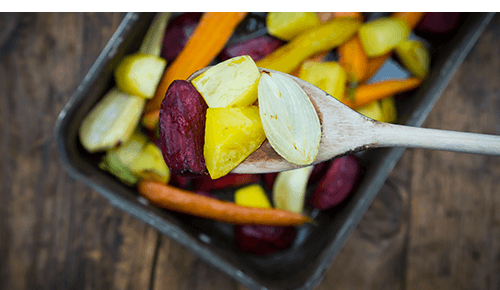 These colorful seasonal veggies like beets, parsnips, carrots and turnips are rich in fiber, antioxidants and magnesium, among other nutrients. 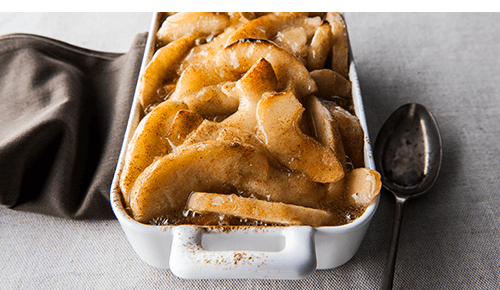 Roast fresh seasonal fruits like apples in the oven with cinnamon for a light and sweet dish at the end of your meal that’s rich in fiber. If you do have a slice of pumpkin pie, choose a small slice, Richner says. 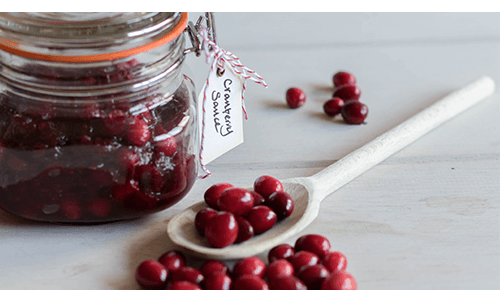 Richner says that her favorite pick to take to holiday gatherings is homemade cranberry sauce, naturally filled with vitamins C, K and E, plus lots of fiber. It’s simple to make and often more flavorful than the canned varieties. Sweeten with apples and oranges rather than sugar. 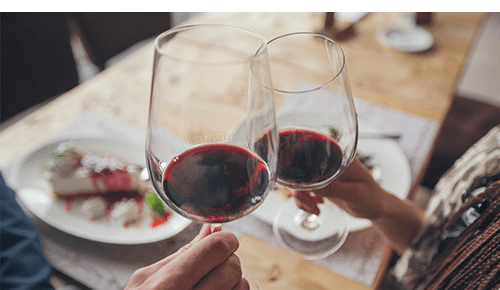 Instead of creamy, caloric holiday punches or eggnog, choose a light wine spritzer to keep calories in check. Men should limit themselves to two drinks per day, and women to one. During the holidays, balance and portion control are key. There’s no reason to deprive yourself during these special times; after all, food is a way to celebrate with your family and friends. 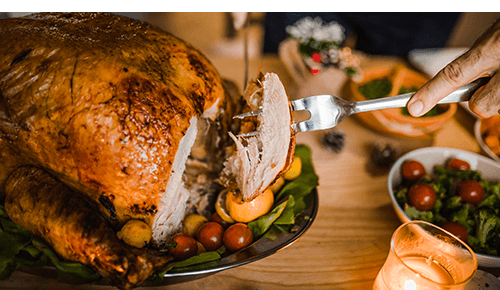 But by making small changes — like choosing baked turkey over a fried one — can help keep your mood up and weight down during this particularly indulgent time. Don’t forget about exercise, try these running clubs in Columbus this fall!